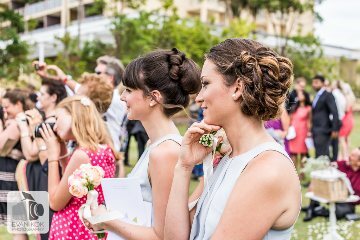 Our mobile wedding hair and makeup artist (professional makeup and airbrush makeup) service from the Sunshine Coast, Noosa, Caloundra, Maleny, Maroochydore, Mooloolaba, Bribie Island, Redcliffe and Caboolture to Gympie. 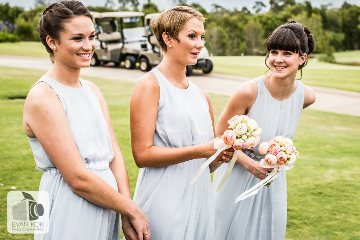 We are experienced and professional mobile wedding hair and makeup artists based on the Sunshine Coast. 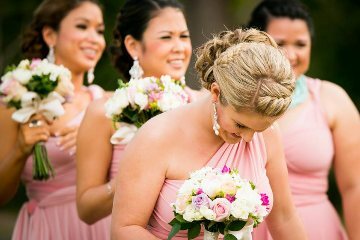 Our prices start from $55.00 for hair (blowdries) and $70.00 for makeup. 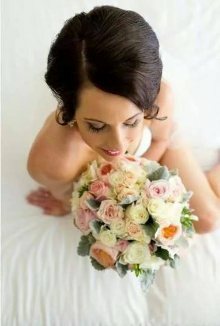 With over 25 years experience in the wedding industry we will create the most beautiful wedding hair and makeup for you. 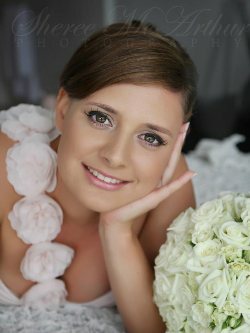 We also provide services for Senior Formals, Special Occasion, Wedding Guests, and Photographic hair and makeup. 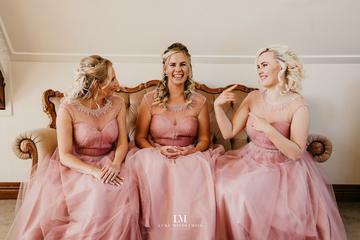 Our hair and makeup artists, have all had very illustrious and successful careers in the wedding and beauty industry so far. 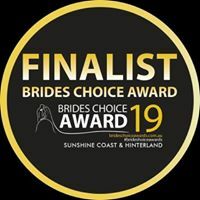 Our makeup artist, Mel, is currently a trainer in Certified Courses in Makeup (Nationally Recognised and Accredited Training), an Associate of a Qld and Sunshine Coast Beauty School (RTO), and currently conducting a Makeup Program for Senior School Students. This means you are getting proven experts and industry professionals. 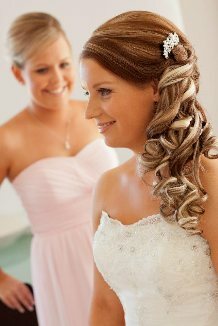 Since introducing our hair extensions for brides and bridesmaids (at a reduced price) they have been a huge success. 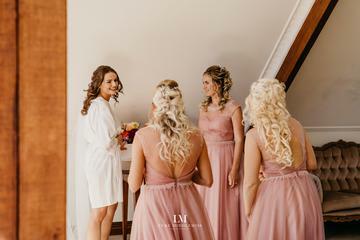 Fantastic quality and human hair, our extensions can be styled and blended with your own hair to create the perfect hairstyle for your wedding. Fantastic for after your wedding day too! Our mobile service means we arrive at your location to save you time and stress so you can relax in the comfort of your home or hotel room and be pampered on your special day. 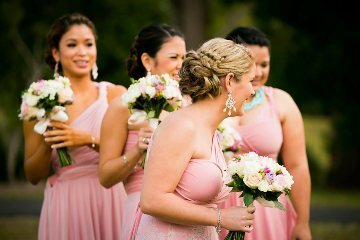 Our superior service and experience in wedding hair and makeup means you can be assured that you and your bridal party are in the hands of absolute professionals. We endeavour not only to keep current in our training and qualifications but in the services we offer. 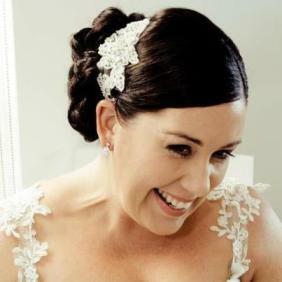 Our passion is hair and makeup and we get much enjoyment and fulfilment in this rewarding industry. 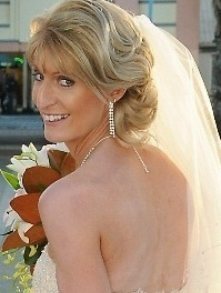 Services available to Weddings, Special Occasion, Senior Formals, Debutante Balls, Photographic Shoots, Fashion Parades and Hair Shows. No need to wait for your hair to grow. 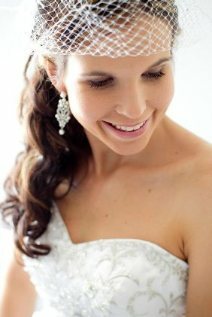 Go the extra length with our fantastic hair extensions to add extra volume for your perfect bridal style. 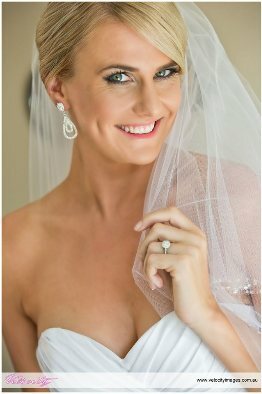 Our foundations feel light and comfortable and are recognised by brides for their excellence in quality and staying power. Our superior foundations and mineral powders are in a class of their own and offer flawless coverage.